Overtake your rivals and become the most notorious mad scientist in history! 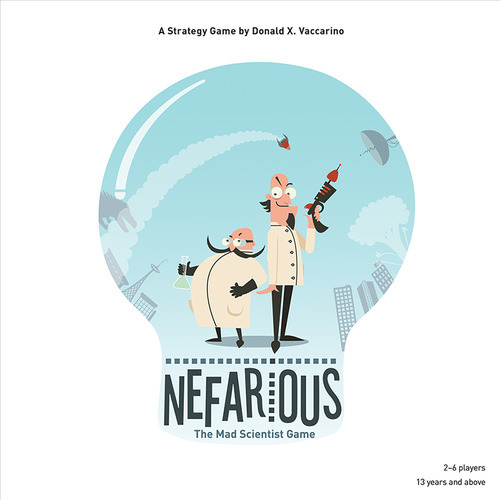 Nefarious: The Mad Scientist Game is a strategy game by game designer Donald X. Vaccarino who also designed Dominion and Kingdom Builder. 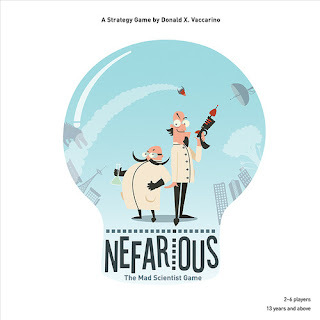 In Nefarious you are mad scientists competing to destroy the world. To do so, you must build terrifying inventions which require research, hard work, and espionage. Unfortunately for you, other mad scientists are trying to steal your evil glory by destroying the world first. Overtake your rivals and become the most notorious mad scientist in history! 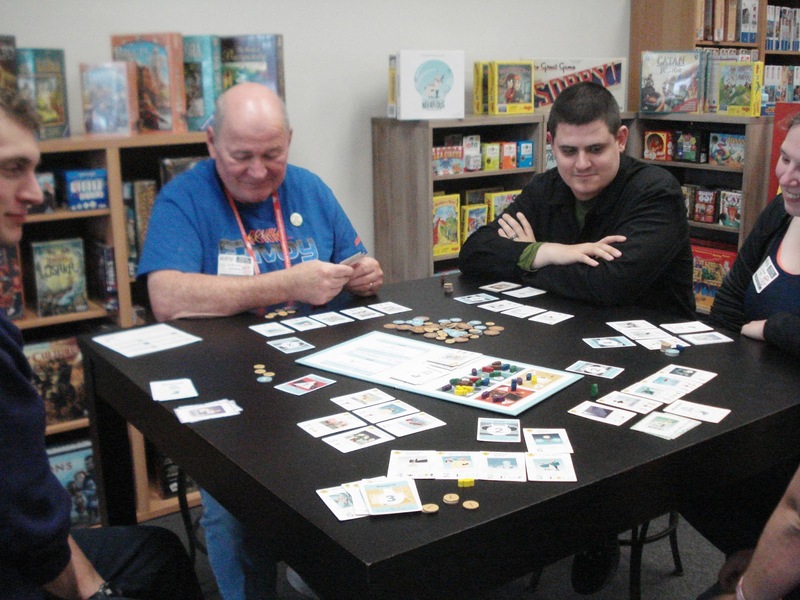 The goal in Nefarious is to build inventions that total 20 or more points. At the start of each round players will simultaneously chose and reveal one of 4 actions. Your options are 1) Espionage where your spies can earn you money in future rounds, 2) Invent something outrageous like a Buttered Cat Array or a Space Elevator gaining you victory points and special effects, 3) Research which yields you potential inventions and money, and 4) Work which gains you much needed money to pay for those inventions. Game ends when at the end of a round at least one player has 20 points worth of inventions placed in front of them. Everyone then adds their points and the player with the most points becomes the Certifiable Evil Genius Scientist! Additionally, there is a twist to the game. At the start of each game you will chose 2 of the 36 available Twist cards. Twist cards modify the rules of the game thereby providing variability each time you play.